I am Eduardo Coney, a native of the Republic of Panama. Born to a family of 21 children, I was neglected at an extremely young age and grew up in a poverty stricken country. Plagued with serious health problems I managed to survive and prosper. Arriving in the United States in 1968, I joined the U.S. Army and traveled to many countries and found my childhood was not unique. Many other countries had abandoned, starving children with Aids and other serious health issues. I vowed at that time to do what I can to make a difference in these children’s lives. Since then I founded Spectrum International Children (www.Speic.org). Spectrum International Children is a 501 (c) (3) nonprofit, nongovernmental organization formed to provide educational, medical, housing, nutritional and economic development assistance for orphaned and physically disabled children in the US and in the developing countries. The goal is to improve the quality of their life from childhood to adulthood. Since 1984 I have been working in the car industry in one way or another. I have much experience with towing, storage, buying and selling unwanted vehicles. 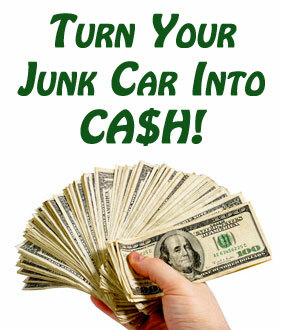 Junk Car Cafe is proud to assist with our community, environment and hopefully the lives of so many children in need. Please donate a car, truck, boat, house, land or make a financial donation. Help sponsor or adopt a child from the Caribbean, Panama or Central America. Help us make a difference in the life of a child.